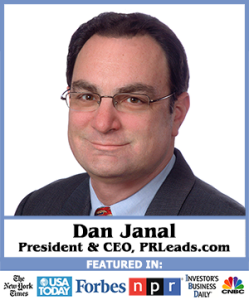 Thanks for 15 Terrific Years at PR LEADS: What's Next? Thanks for 15 Terrific Years at PR LEADS: What’s Next? Home/Advertising/Thanks for 15 Terrific Years at PR LEADS: What’s Next? As Thanksgiving approaches this week, it is time to thank all my wonderful clients – past, present and future – for helping me lead a wonderful life for the past 15 years with PR LEADS. Over the years, I’ve rubbed shoulders with the nationally famous politicians and actors to people who are famous in their fields (like Alan Weiss, Evan Carmichael, Rick Frishman, Sam Horn and Tim Ferriss) and many people who make the world a better place with their ideas, their books, their coaching and their consulting. Many of them are in the National Speakers Association — including numerous board members and presidents. NSA is a truly amazing group of people. Some clients have become close, personal friends. Some clients wouldn’t know me from Adam! Their loss. Beyond PR, I’ve helped open doors to people through my vast network, and have seen relationships blossom. It’s all good! From PR LEADS to teleseminars to press releases to media databases to coaching and consulting – and of course, speaking – and my books, it’s been rewarding to help people and have them thank for me helping them. But nothing stands still, as we look to the new year – and 16th year in the wonderful world of PR LEADS – I’ll be blazing a new trail with Facebook Advertising. I think this is the next big thing and I’ve been testing the waters with a few “beta” clients who were nice enough to let me play with their money. They’ve gotten great results and now I’m ready to take on new clients. Personally, I like Facebook Advertising because it helps me use more of my skills in marketing and creative writing. I’m not just a PR guy – although that’s the side of me that many of you have seen. I wrote the first book about marketing on the Internet back in 1993! And I’ve spoken around the world on marketing for the past 20 years! And that includes teaching Internet Marketing at Berkeley and Branding at Stanford! So I’m the right guy to do this kind of advertising for you. · If you want to get more qualified prospects into your pipeline, let’s talk. · If you want to sell more books or info products, let’s talk. · If you want more people to know about your webinars, let’s talk. · If you have an evergreen webinar, let’s talk. · If you are spending a fortune on Facebook or Google ads and aren’t getting results, let’s talk. · If you are spending between $500-$5,000 a month on marketing, let’s talk. And most importantly, if you want to use marketing that has proven results that you can actually track with real numbers and sales figures, then let’s talk. But first, read this page http://www.PRLEADStoPROFITS.com/Facebook to see what we do, how we do it and if you are a good candidate for us to work with. If so, you’ll want to schedule a time to speak with me on my schedule app. The link is on the site. However space is limited. I have the bandwidth to take on only 4 clients a month, so you can apply and we’ll figure if this is a good fit and when we can devote our full attention to your campaign. Is Ralph Lauren Bigger Than the Olympics?